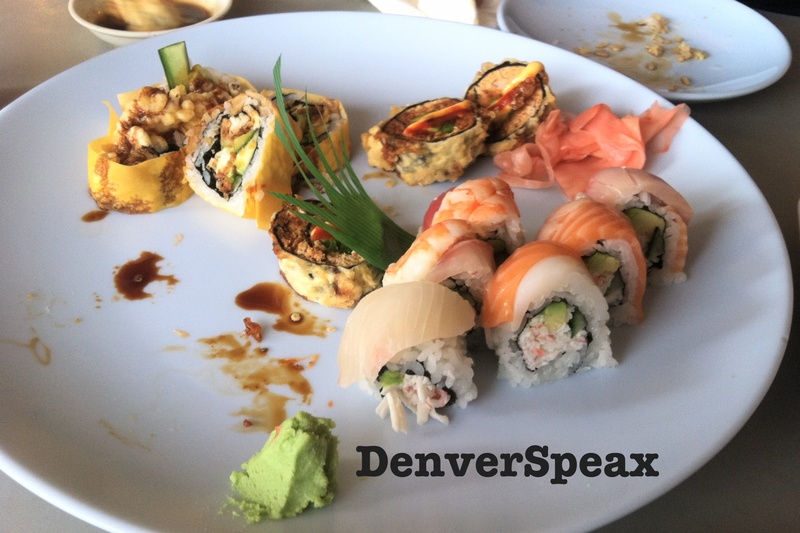 Located at 815 Nile Court, Golden, Colorado 80401, Sushi Uokura is a hidden gem type of seafood restaurant with a sushi bar; my friend had told me that we had to go, and so last Friday we ventured on down the road to Golden. Tables are packed pretty efficiently inside the restaurant, and the place was hopping! 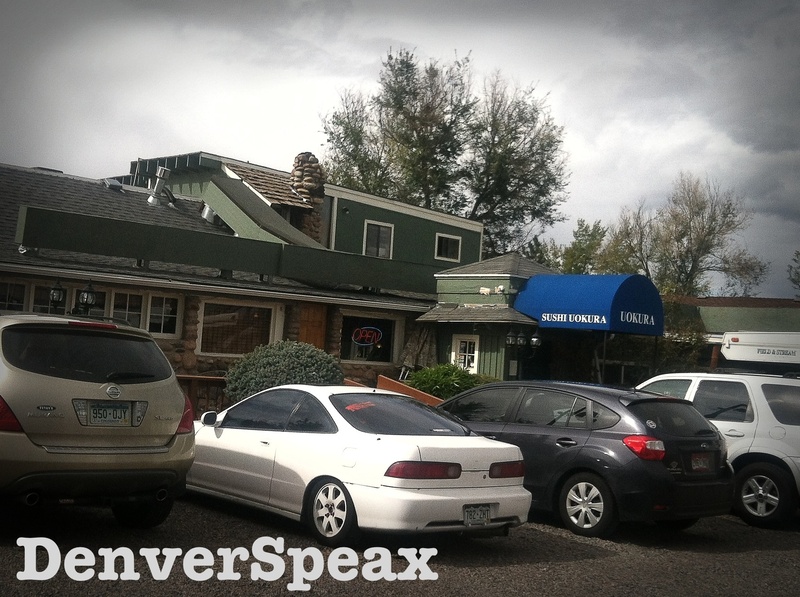 Don’t let that put you off – the wait staff is attentive, the atmosphere homey and welcoming, and the food is fantastic. Sushi, including a Rainbow Roll and variety of spicy rolls. Credit: Kirsten Ebey, OCT 2013. 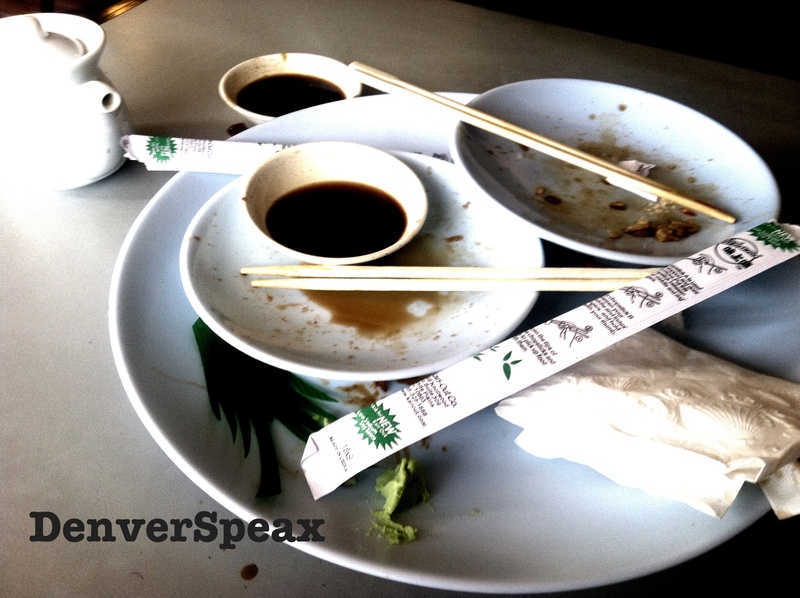 The rolls were a good size – not too large or too small, which can be pretty annoying when trying to enjoy good sushi. All of the ingredients used tasted fresh and deliberate; the presentation and appearance was awesome (before we started digging in, of course). 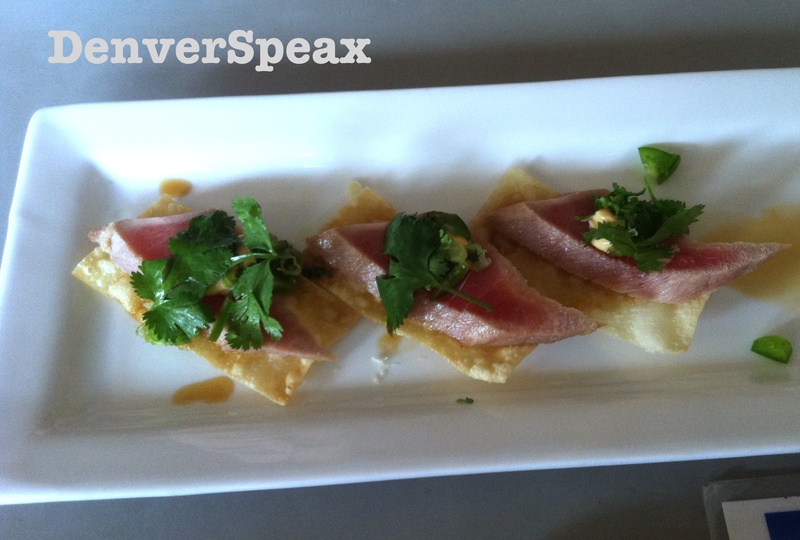 Pictured above was my favorite part of our meal – the tuna tataki. This seared tuna with sesame seed, jalapeno , crispy gyoza skin, spicy mayo, and ponzu was so delicious and refreshing. I can safely say this is my favorite tuna tataki experience in (or around) the Denver area yet. Outdoor shot of the restaurant – make sure you visit! Credit: Kirsten Ebey, OCT 2013. Round of applause to Sushi Uokura for making incredible food, and providing us with a memorable lunch – we can’t wait to go back! We went around 1 pm on a Friday – it’s going to be busy, so prepare yourself, or go at a later / earlier time to beat the lunch rush! Across the street from the restaurant / parking lot is under construction, but parking is still available along the road. Be careful where you park so as not to block the construction site or others dining within the restaurant. Come hungry! They know how to fill a belly well, that’s for sure.